Between 2009 and 2016 a surface area of about 840 sq. km. was explored on foot. All pre-Islamic anthropogenic remains were documented. 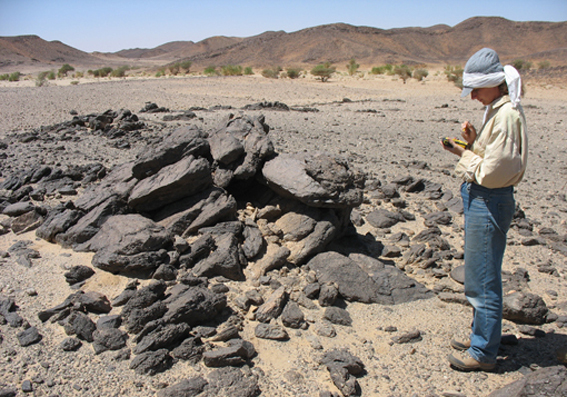 The picture resulting to date shows that the Wadi Abu Dom has been utilized by humans from the Paleolithic down to the present day. The traces of this are however only sporadic and poorly documented. We have evidence of activity during the Paleolithic and Neolithic Periods. Above all, in the western part of the lower Wadi Abu Dom there are tumuli of the Kerma Period atop ridges in the landscape; in the eastern part, however they are only sparsely in evidence. Until now we could not positively identify a Napatan or Meroitic presence, despite occasional cleft burials which are probably datable to Napatan times. The so-called post-Meroitic is unquestionably present – and much better documented than all other eras, except perhaps the medieval Christian Period. There are several cemeteries with tumuli up to 18 m. in diameter situated on the edges of the wadi. Christian cemeteries with box-graves are also frequent, especially in the neighborhood of Ghazali. But there are also some smaller cemeteries in the eastern part of the lower Wadi Abu Dom, as well as isolated burials in the hinterland. In the course of the W.A.D.I. project, a total of 1838 burials were documented. Surprisingly, no larger settlement structures have been preserved. Small huts, simply in plan, are the features so far located displaying settlement character. The exploration of the historical infrastructure of routes facilitating communication suggests that such activity was circumscribed. In the region many paths are discernible; discoveries along them made it clear that many routes had crisscrossed the surface in pre-modern times. These were short cuts to bypass the wadi’s meandering course, but they also penetrated into the surrounding area. Such small-scale transport infrastructure is associated with a pastoral economy. To this picture belong as well the many campsites we could document. 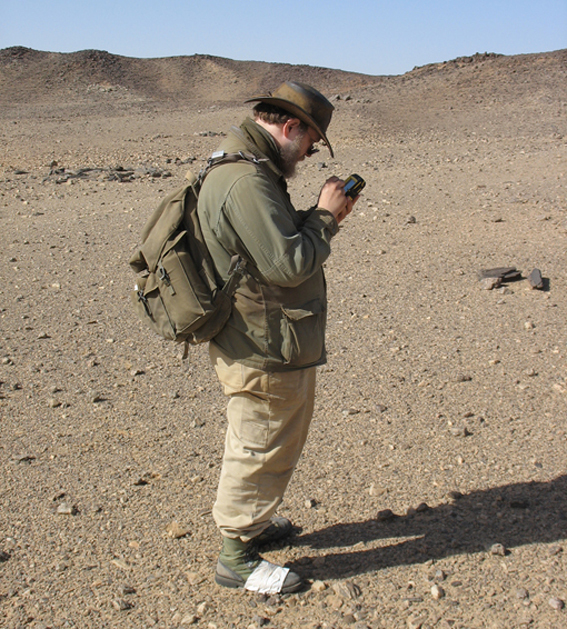 Unmistakable traces of long-distance axes of communication – by contrast to short-distance routes – have not yet been located.